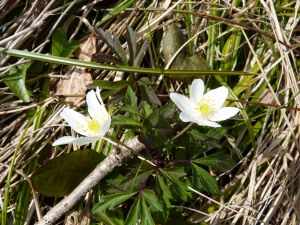 Observation - Wood anemone - UK and Ireland. Description: White flower with 6 petals and deeply divided stem leaves. There were also some pinkish flowers around. White flower with 6 petals and deeply divided stem leaves. There were also some pinkish flowers around.